Seeing any baby in pain is hard enough for most of us. But, when it is your baby it is an entirely different story with a whole new set of variables. If your baby was born before week 37, s/he was likely admitted into NICU. Once there, somehow you took comfort in knowing your baby was going to receive 24/7 critical care from the NICU nurses, neonatologist, and other NICU staff. Until you learn about the smallest of problems, pressure ulcers. An often, unending battle for many prematurely born infants, or preemies. Up until recently, pressure ulcers were largely overlooked and poorly reported. To better understand pressure ulcers, we need to understand the act, or inaction, the cause(s). Essentially, the root cause is brought on from laying on one side of the body for far too long. More specifically though, pressure ulcers occur in stages. Often the first signs of an ulcer is superficial damage to the skin. Often making the area red and inflamed. By the second stage the underlying fatty tissue & muscle begin to breakdown, including collagen. Pressure ulcers occur over bony areas of the body such as the heels, ankles, hips, tailbone, and for preemies the back of the head. For preemies though, pressure ulcers commonly develop on the back of the head, the sacrum, feet, and opening of the nasal cavities. (1) Unfortunately, a preemie’s delicate thin skin lacks the muscle, fatty tissue, and collagen that lies beneath. Cushioning the bone beneath. Lead to serious infection(s), sepsis, or surgical intervention. The considerable damage a preemie sustains from a single pressure ulcer is costly. Estimated around $70K USD, and often extends the length of stay for preemies in NICU. Pressure ulcers put an estimated 25% of preemies “at risk.” A good first step to prevention is identifying pressure ulcers early in preemies. 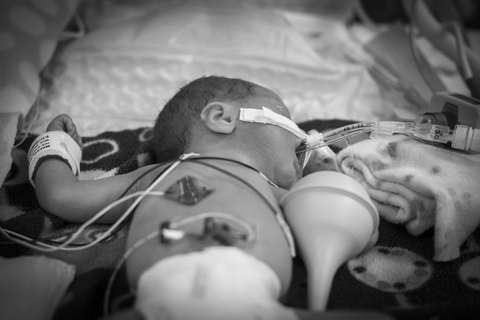 Unfortunately, many of the problems preemies are fighting is “extremely low birth weights, the need for medical support devices & equipment, immobility, nutrition, and imbalances in oxygen and blood flow.”(2) All medical conditions that increase the likelihood for pressure ulcers to form on a preemie. In some cases, preemies with pressure ulcers develop alopecia and problems with embarrassment and body image identity issues later in life. The two assessment scales, however, were simply not enough. 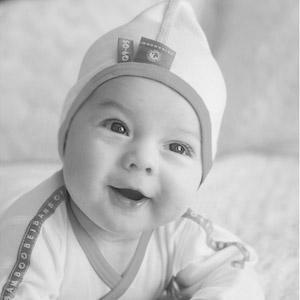 Ultimately, studies revealed that just identifying and preventing pressure ulcers was not enough; NICUs needed to improve incident reporting and utilize pressure reducing aids before the pressure ulcers even begin, like the BEIBAMBOO® Baby Bonnet for NICUs—with all labeling on the outside, no seam coming into contact with a preemie’s thin immature-skin (the single seam that does exist is facing outward away from the preemies skin) further reducing the chances of developing a pressure ulcer for a #PainFreePreemie. The bonnet also has an opening near the top for monitoring leads—allowing for continuous uninterrupted monitoring while helping to prevent, or slow, the development of pressure ulcers on the back of a preemies head.